The Amazon Echo Show, Amazon’s first touchscreen-enabled Alexa-equipped Echo device, is now available for pre-order. The device, which has been rumored for months, is the device first revealed in leaked images last week. Yep, the countertop video poker machine is official at $230. 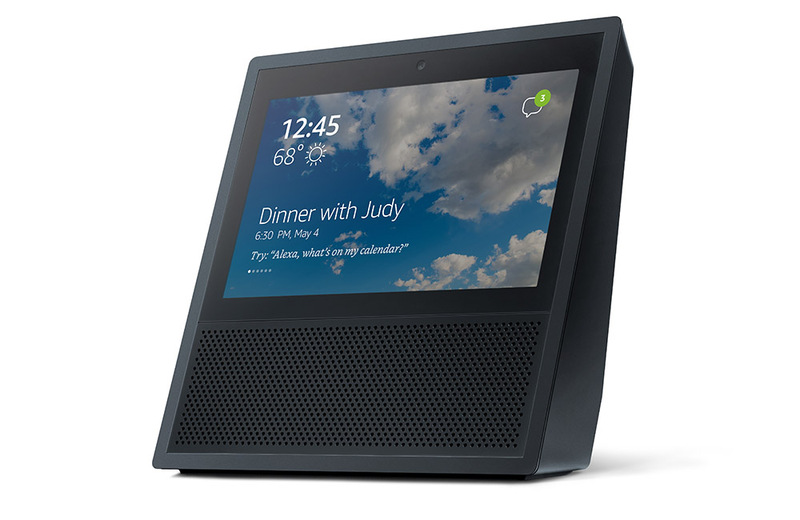 The new Echo Show features a 7-inch touchscreen, 5MP front camera, dual 2-inch stereo speakers, an intel Atom x5-Z8350 processor, dual-band 802.11n Wifi, and is powered by Alexa. It weighs 41oz (1170g) and has dimensions of 187x187x90mm. It’s big, but I don’t know that it’s as big as we had originally imagined. 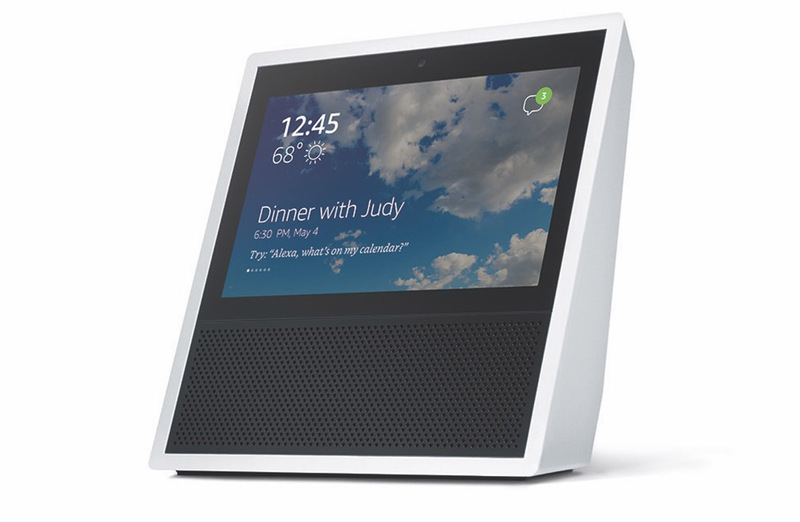 So what does Echo Show do? A lot, obviously, thanks to that touchscreen. You’ve got all of the standard Alexa and Echo features, like shopping through Amazon, getting weather, setting reminders or alarms, checking your calendar, listening to music, and controlling your home. This is by all means an Alexa device under the Echo category of hardware. Where things take a step forward is in the touchscreen department. 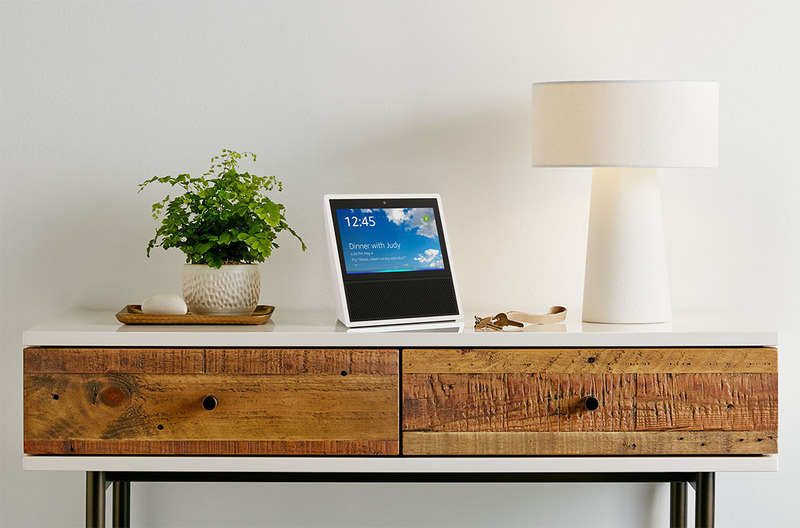 You can now place voice calls from Echo Show to anyone with an Echo or the Alexa app. If they have an Echo Show, those can become video calls, thanks to the 5MP camera. More on Alexa calling and messaging can be found here. The touchscreen also lets you control music better, watch video clips, control your smart home (and see items like smart camera feeds), see calendar items, view shopping lists and items you want to buy, and play games. Outside of the look, this device actually sounds like something that could be quite useful in a home, assuming you have room on a counter or desk or shelf. The price isn’t bad and the control over everything from Alexa is there, now just in screen form. That’s awesome. Amazon Echo Show is up for pre-order now and ships June 28.